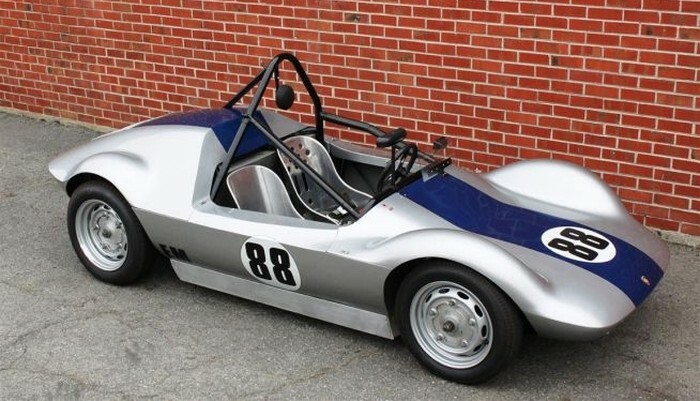 Originally built in 1963 by American Curtis Thews, this charming DKW Porsche-engined TM Special was inspired by the 550 Spyder and started life as a DKW Junior. 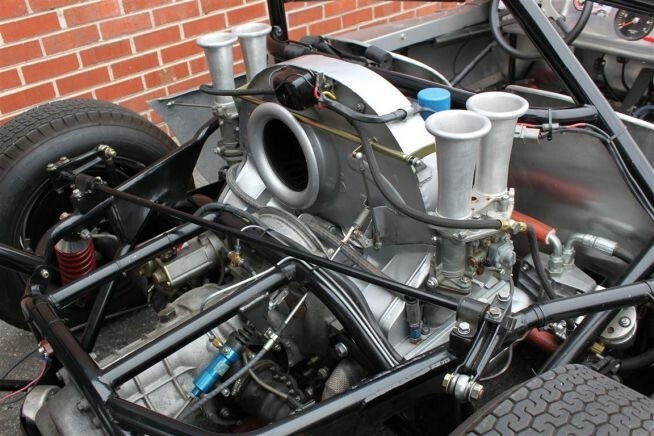 As the owner of two 1,600cc Porsche Type 692 four-cam Carrera engines, but keen to compete in more than once racing class, Thews decided to convert one of the engines into an 800cc four-cam flat twin, interchanging the motor half way through race meets! 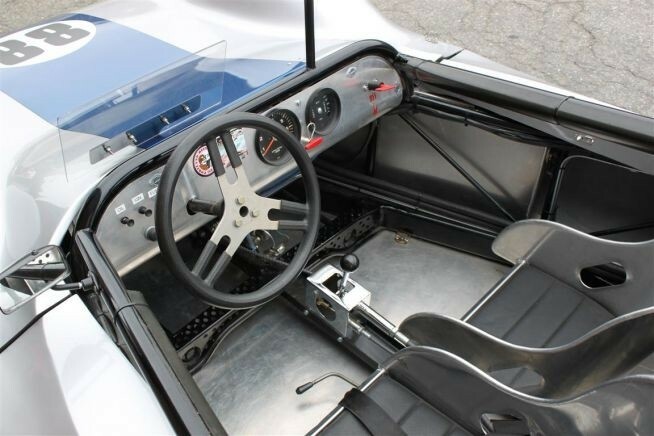 Later, with a 911 motor installed, the car became an autocross winner. 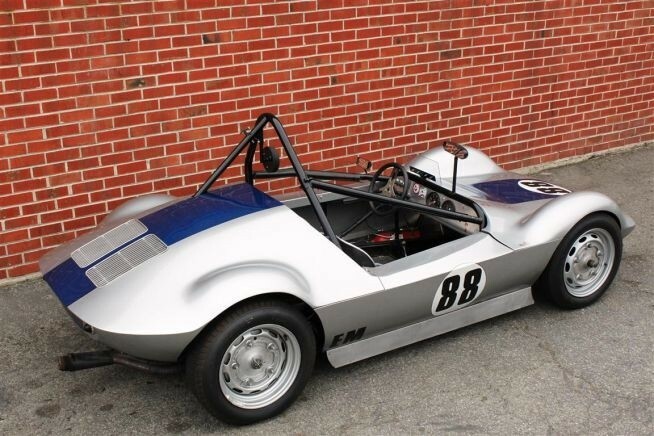 It currently uses Porsche 912 case and heads, Shasta pistons and a Neutek cam, developing approximately 100hp.